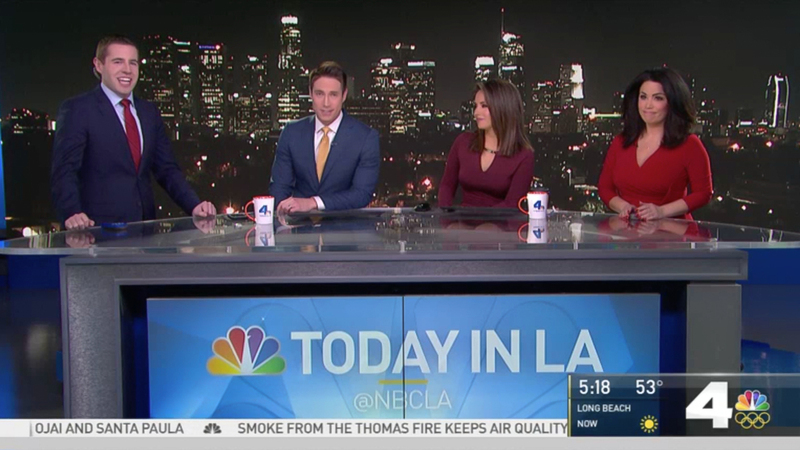 NBC’s Los Angeles affiliate, KNBC, has updated its primary news studio at the Brokaw News Center in Universal City with a new LED video background. The new video wall sheds the silver mullioned window-look that was the NBC O&O standard in favor of a seamless skyline view behind the anchor desk. The LED wall is capable of 4K video output, however, the current camera feeding the wall does not appear 4K. KNBC moved into the facility in 2014 along with the NBC News Los Angeles bureau and Telemundo affiliate KVEA. The station’s set design is from Broadcast Design International and has seen minimal updates since launch, besides new motion loops to match the current NBC graphics package. 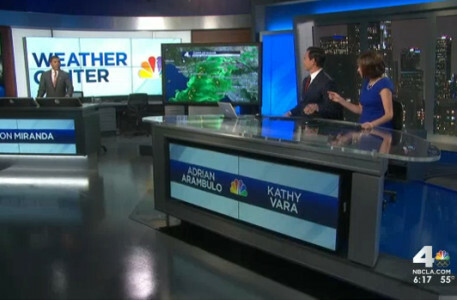 While work was underway on the monitor upgrade, KNBC used the buildings newsroom studio, which is often used by “NBC Nightly News” and flash cam guests across the NBCUniversal networks. KVEA, Telemundo Los Angeles, also received a new video wall background that is similar in scale to KNBC.